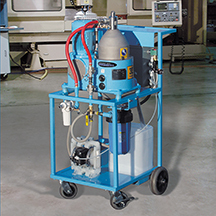 As a ";belt-type" skimmer, these units are effective in removing floating oil from widely fluctuating liquid levels of coolants or parts washing solutions. 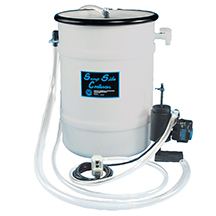 The SCROUNGER™ features a revolutionary new oleophilic belt and a totally new concept of stripping the separated oil from the belt. 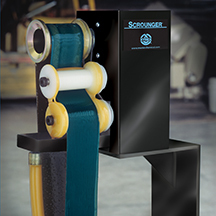 The SCROUNGER™ Jr. uses the same "oil loving" belt, but uses a more compact scraper blade to strip the separated oil from the belt.